His team is protecting its home field and No. 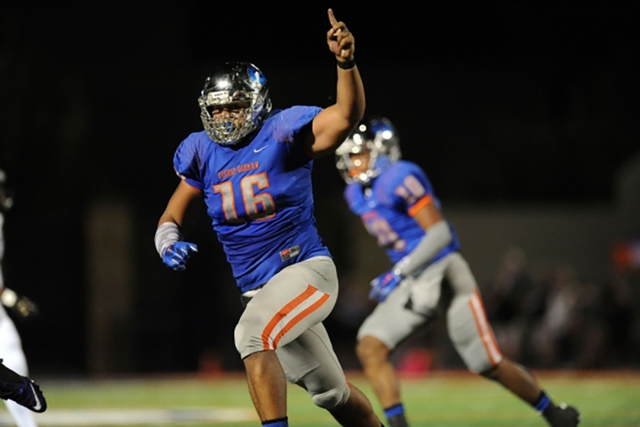 1 national ranking against another top 20 team, so Bishop Gorman defensive lineman Haskell Garrett probably doesn’t need any added motivation. Garrett, a Hawaii native, hopes to put on a good show against a team from his home state when the Gaels host Kahuku (Hawaii) at 7 p.m. on Saturday. Garrett, a top defensive tackle who has committed to Ohio State, will lead a defensive unit trying to slow the Red Raiders’ potent offense. Kahuku (5-0), ranked No. 17 in the nation by USA Today, is coming off an 83-0 win over Radford (Hawaii). The Red Raiders have averaged 50.8 points, but are far from the up-tempo spread team those numbers might bring to mind. “They just want to run the ball,” Gorman coach Kenny Sanchez said. “That’s it. They want to run the ball down your throat and control the clock. Harmon Brown leads Kahuku with 372 rushing yards, and he has scored six rushing touchdowns. Elvis Vakapuna has rushed for 259 yards and eight scores. Kahuku’s defense has posted shutouts in its past three games and has allowed an average of 63.8 yards. 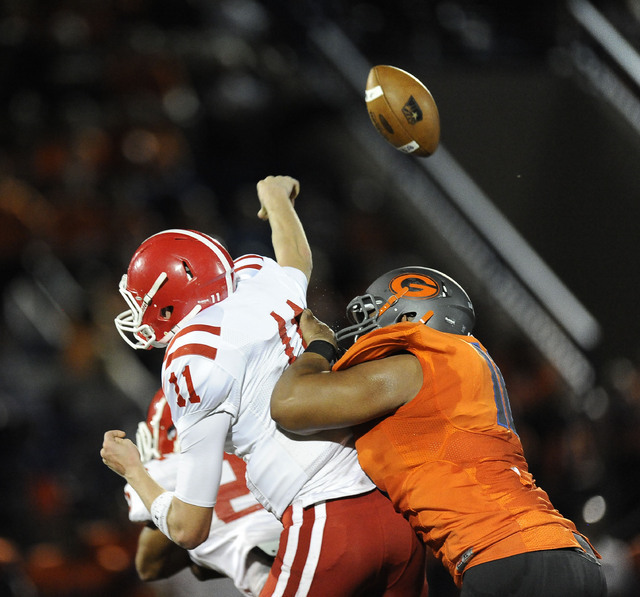 But the Red Raiders haven’t faced a team as potent as Gorman. The Gaels will be without reigning state player of the year Biaggio Ali Walsh, who reinjured his right ankle last week against St. John Bosco (California). Still, Gorman has plenty of weapons, led by quarterback Tate Martell, who also has committed to play at Ohio State. Sophomore running back Amod Cianelli has stepped in for Ali Walsh the past two weeks and done a strong job. He rushed for 116 yards and a touchdown against St. John Bosco. The game is sold out, and Sanchez said the standing room crowd should exceed 5,000. Kahuku brought a large contingent and had a pep rally on Fremont Street on Thursday night.